It’s time of the year the season changes with the weather getting colder. Perfect time for making a new recipe in the kitchen. Even better the recipe being cruelty- free without harming animals. 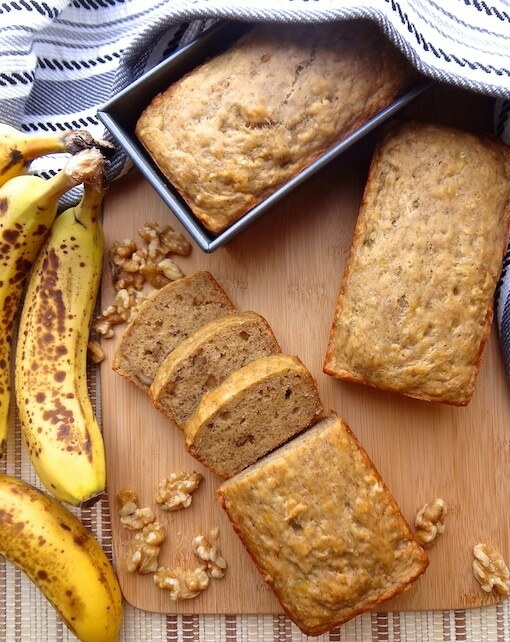 A super delicious Vegan Banana Bread w/ walnuts. Let’s get started! Bake at 350ºF for 30-40 minutes, then test the bread with a toothpick for doneness. (it should come out clean) If the bread is still too moist bake at 10 minute intervals until done. Hope you enjoy the cold winter months and a great new recipe!